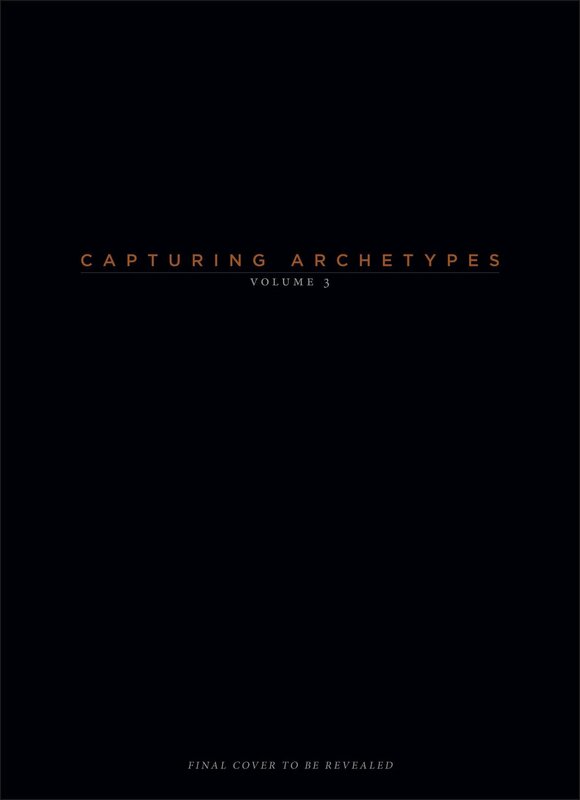 Following the success of Capturing Archetypes, Volume 1 and Volume 2, this deluxe third volume showcases not only beautifully photographed collectibles but also discussions and documentation exploring the creation of these pieces from the artists themselves. 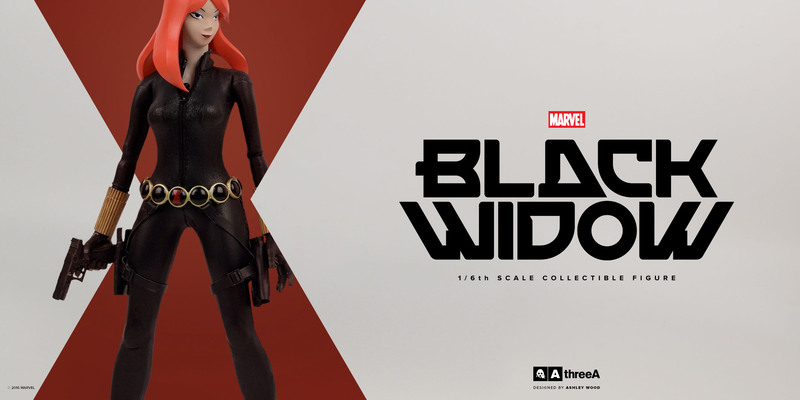 Capturing Archetypes, Volume 3 is a loving homage to the fandoms that Sideshow Collectibles represents. 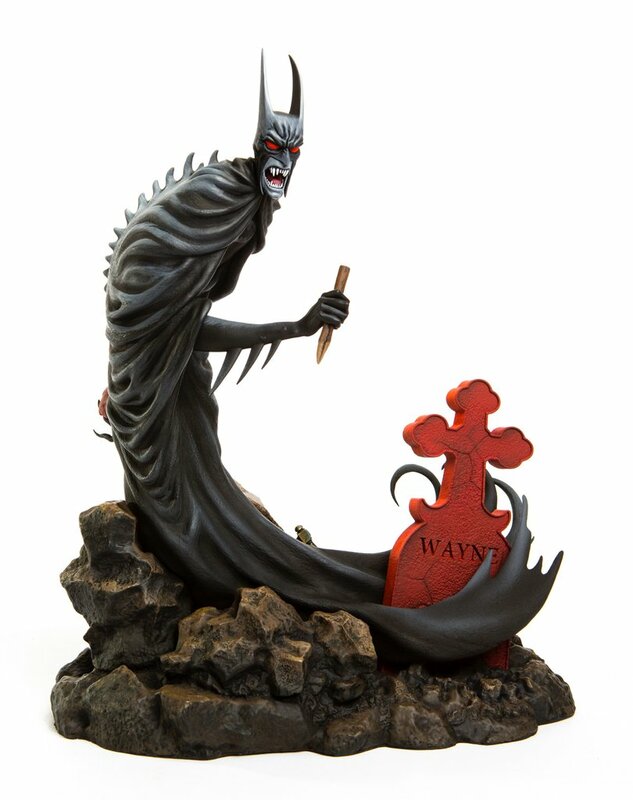 Whether it’s instantly recognizable characters from movies, comic books, and pop culture or Sideshow’s original creations—such as the marvelously macabre Court of the Dead—every piece, from Spider-Man to Catwoman, is created with the passion, devotion, and enthusiasm of true fans. 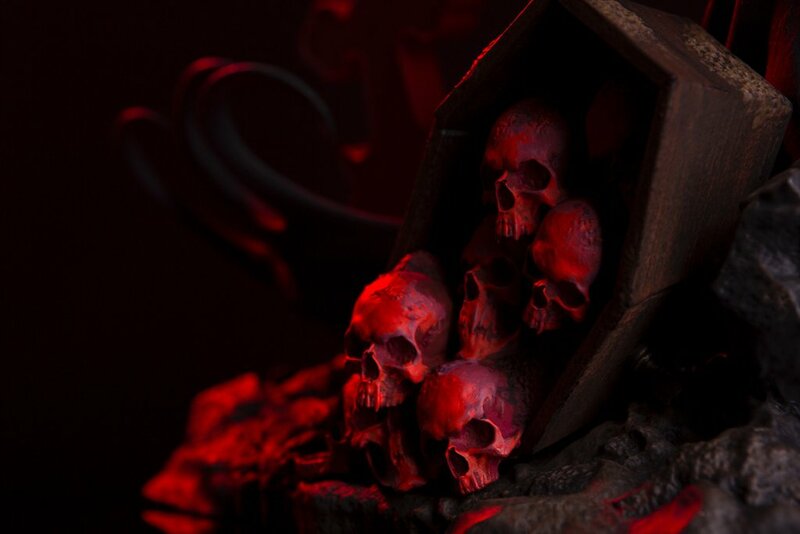 The latest in digital rendering techniques meet classical sculpture and fine art in Sideshow’s studio, where every medium and every tool, old or new, is dedicated to one purpose—the crafting of the highest quality museum-worthy collectibles. Each page of this stunning art book celebrates the countless hours of hard work and dedication put into the creation of each of Sideshow’s masterpieces. 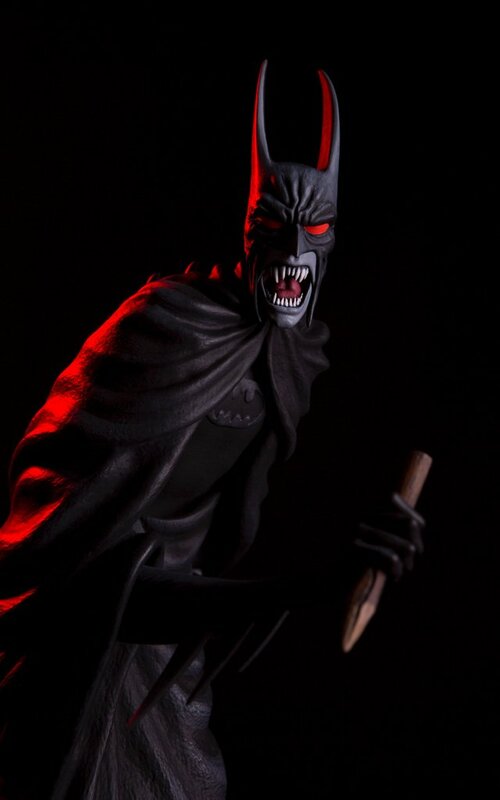 Featuring iconic and universally beloved characters from franchises such as Star Wars, DC Comics, Marvel Comics, Indiana Jones, and others, this collection celebrates Sideshow Collectibles’ astonishing ability to capture the essence of archetypal characters in its phenomenal art pieces. Readers will be able to step inside the world of a “modern renaissance studio” and see their favorite characters brought to life by master craftsmen and women. The 272 page book will be published on November 7, 2017 and can be ordered HERE. 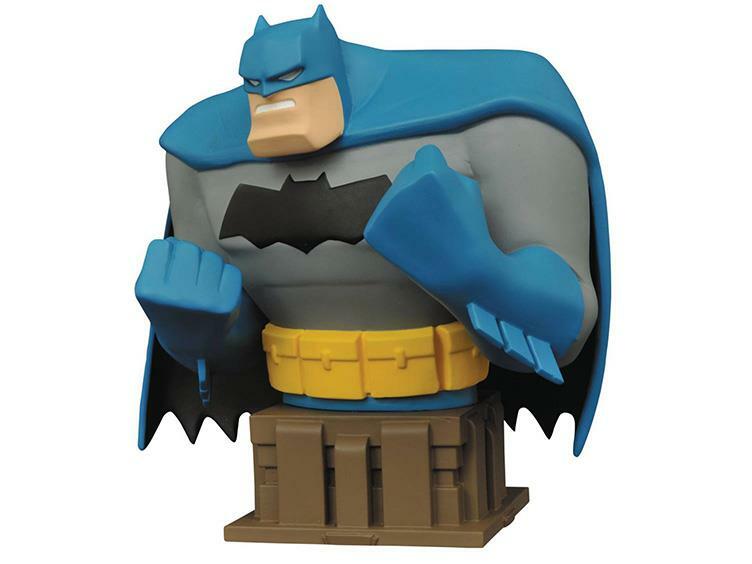 Designer super hero toys — meet street art. 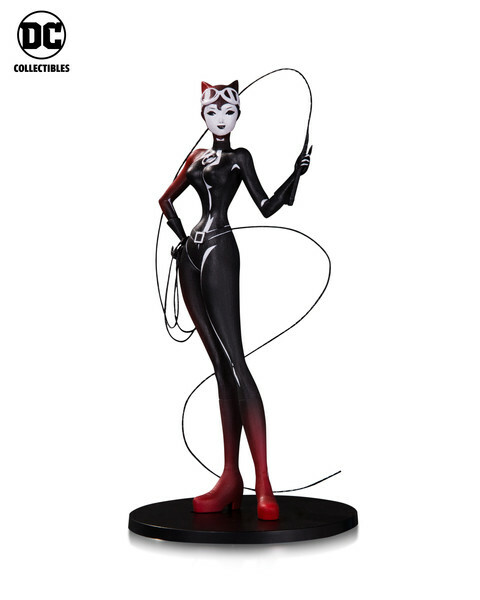 Announced over the weekend via an exclusive reveal at designer toy and comic convention, Five Points Festival, DC Collectibles is teaming up with some of the most talented independent artists in the industry to launch the new line, DC Artist Alley. 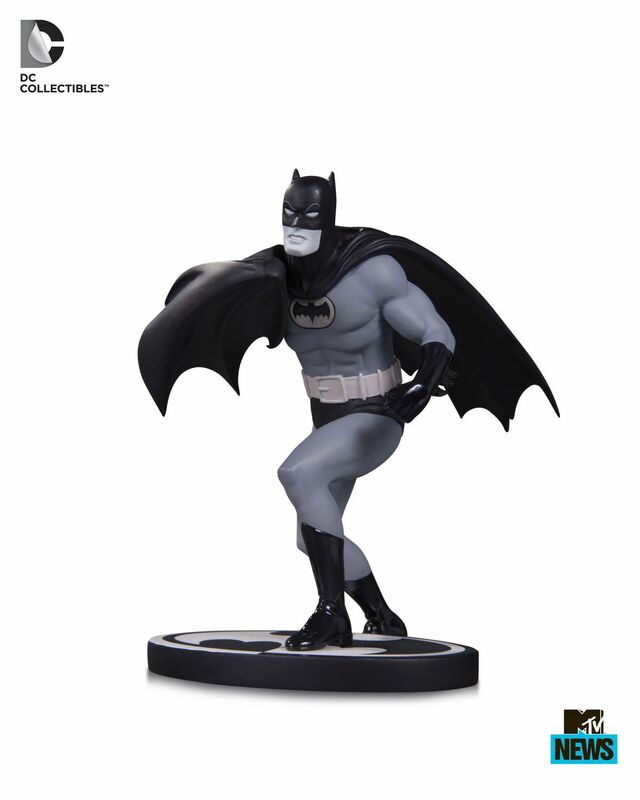 This Batman: Black & White Statue is designed by Norm Breyfogle and sculpted by Chris Dahlberg. 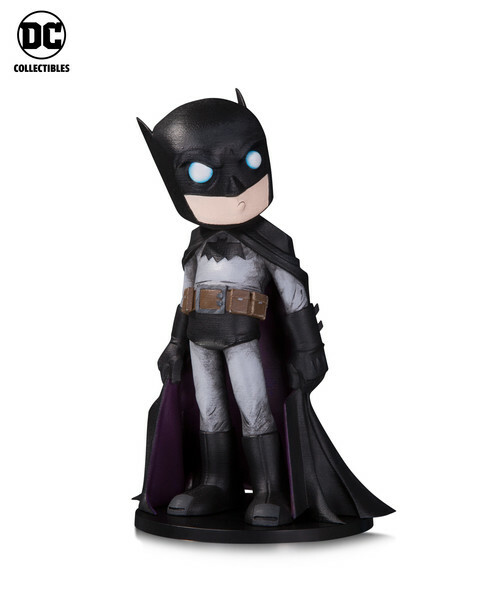 The statue measures approximately 7.78 inches tall, will retail for $80 and will be released in August 2017. 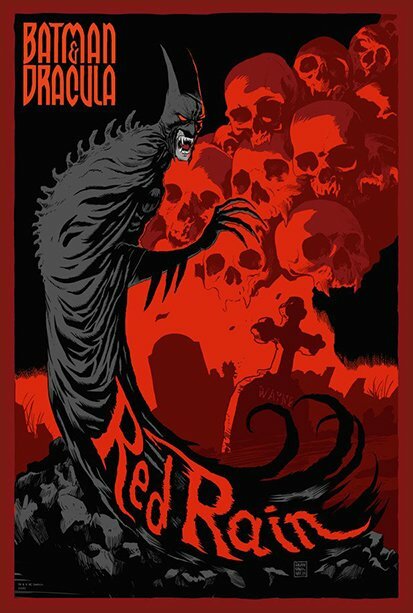 Batman Red Rain is a DC Comics Elseworlds tale in which the Dark Knight battles the infamous Dracula, ultimately becoming a vampire himself in the process. 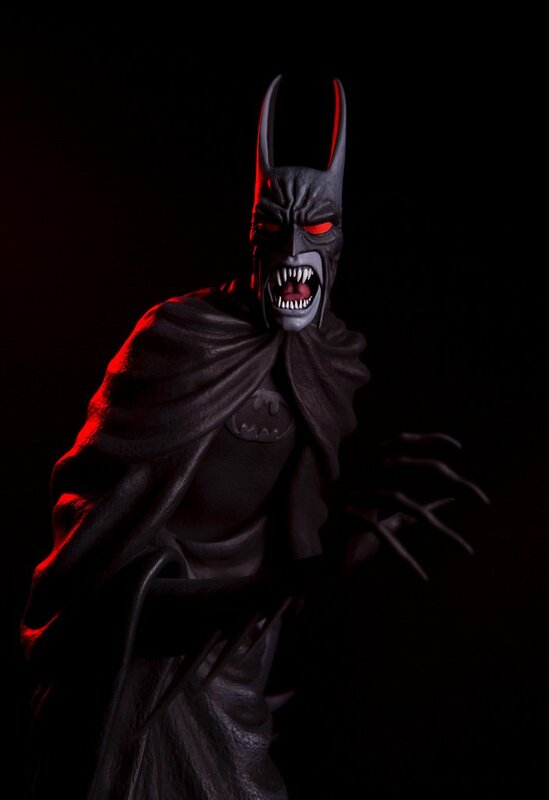 Inspired by Francesco Francavilla’s poster of the same name, the Batman Red Rain statue depicts Batman as a vampire stalking the night and hunting his own kind while attempting to stave off his own hunger for blood. 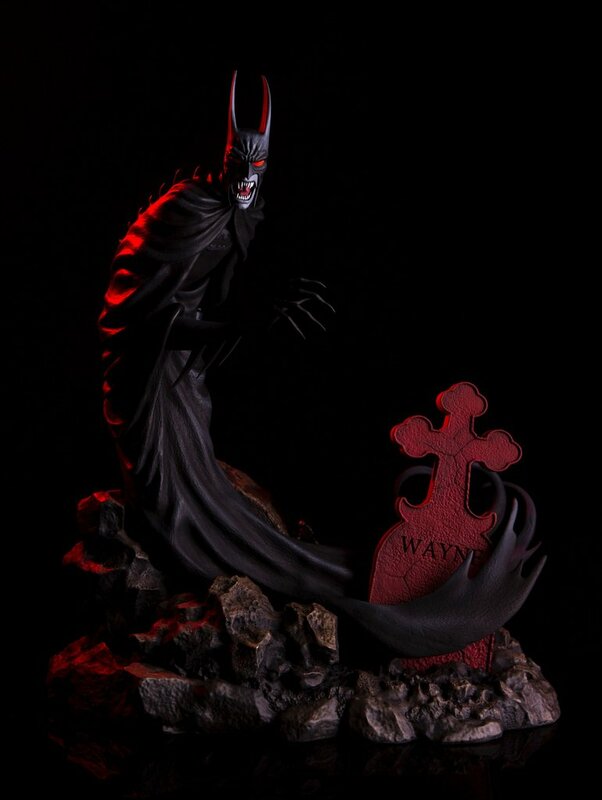 Incorporating elements from the poster, such as a tombstone from Batman’s past and slain vampire skulls, this statue brings the dark beauty of the two dimensional art into the horrific third dimension! 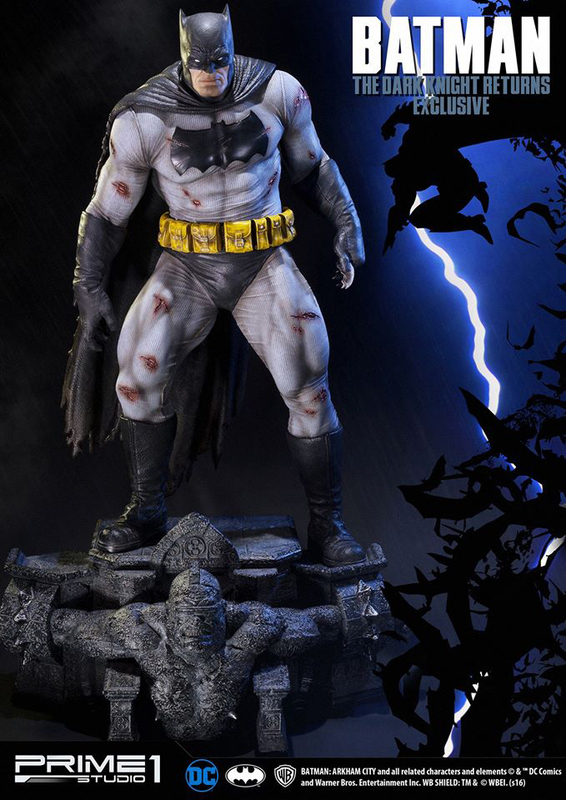 Pre-Order the Batman Red Rain Statue HERE! 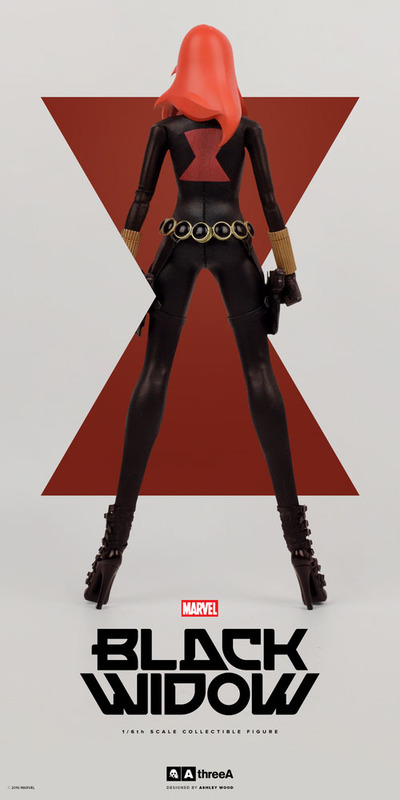 Available in two versions. 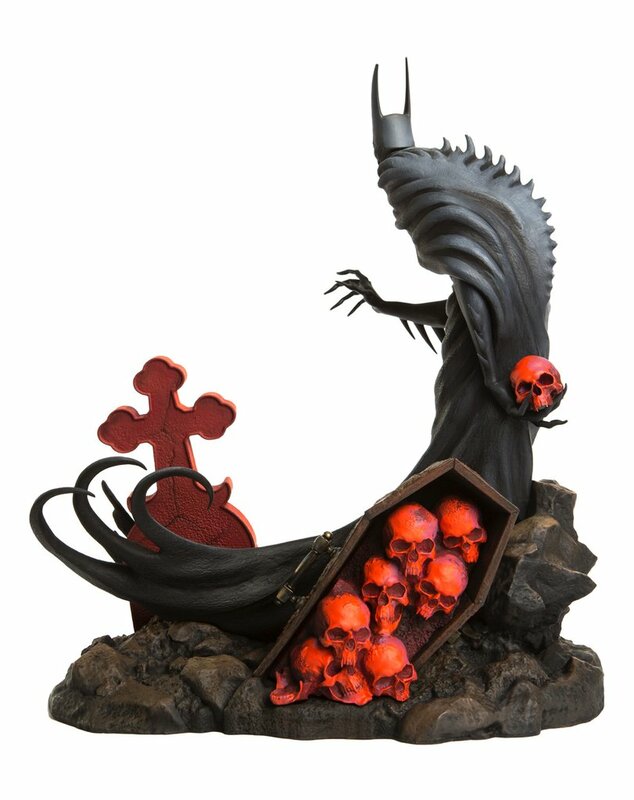 In addition to the regular version, MONDO will have a website exclusive version which includes an interchangeable right arm, holding a wooden stake! The Exclusive Version will be available for 72 hours from Tuesday (10/11) at 12PM CST through Friday (10/14) at 12PM CST. 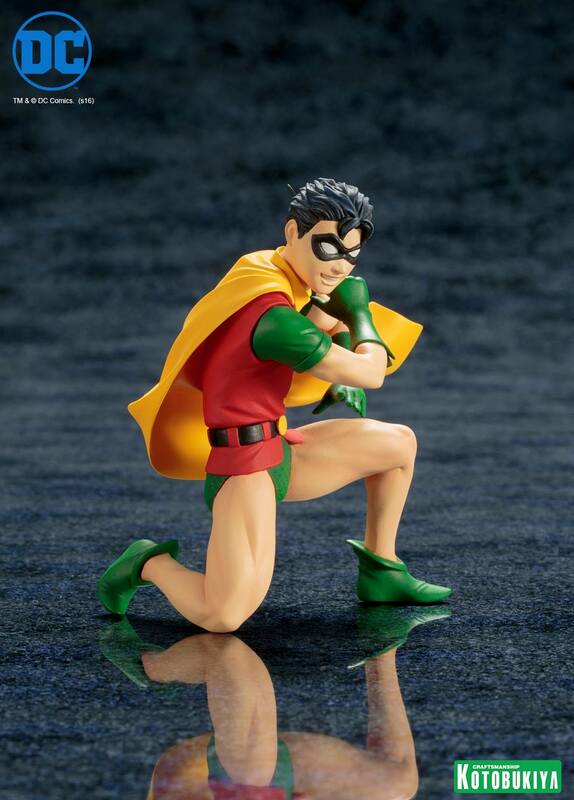 Kotobukiya’s groundbreaking 1/10th scale DC Comics collection has brought you New 52 heroes and villains, Classic Costume retro-inspired figures, Batman: The Animated Series, and more, and now it adds another important chapter in the history of the Dark Knight with the Batman and Robin 2-Pack! 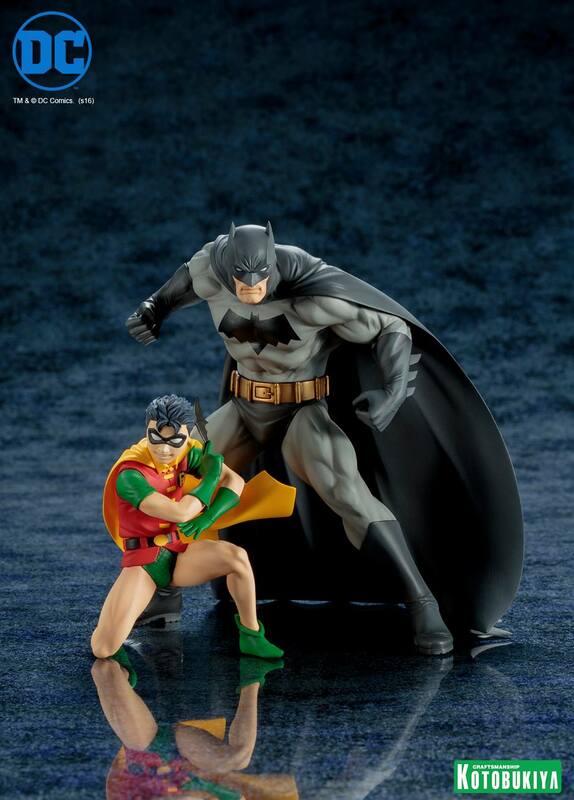 This dynamic duo comes straight from the pages of Frank Miller and Jim Lee’s All Star Batman & Robin, the Boy Wonder, specifically replicating the artist’s work on the cover to issue #9. 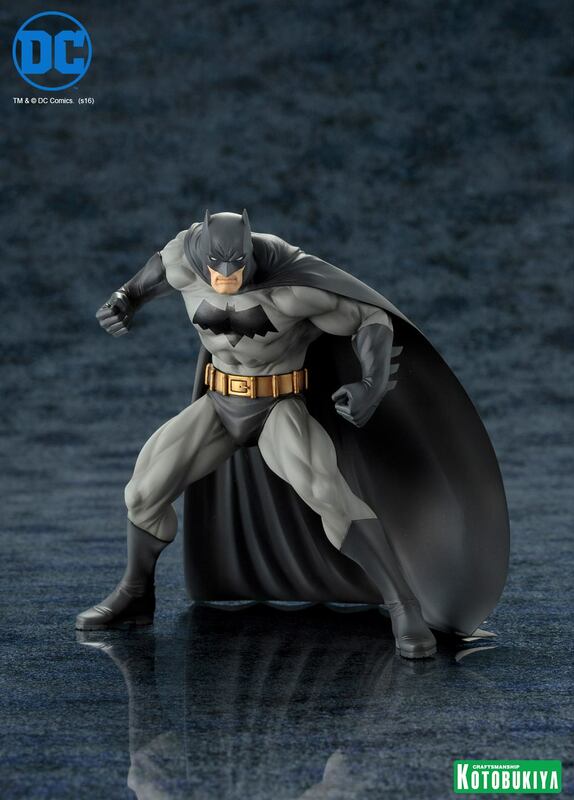 From that depiction Kotobukiya has crafted a menacing Batman in an aggressive stance and a more light-hearted Robin kneeling while preparing to throw a batarang. 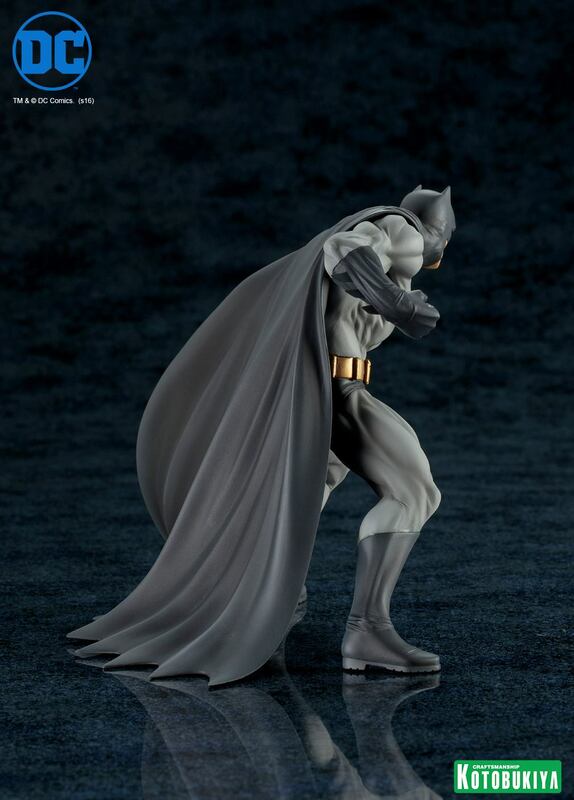 The Caped Crusader is all business with a scowl on his face as he settles into a crouch, leaning forward for balance with his fists balled and ready. 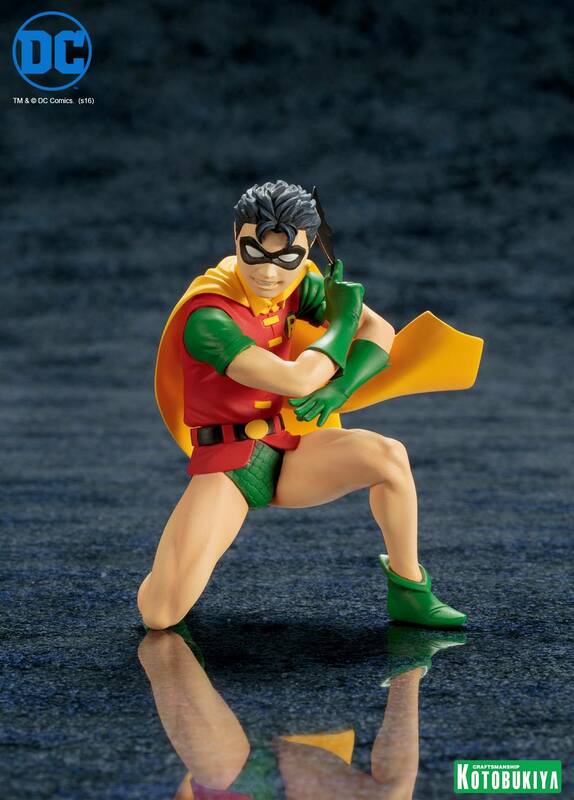 Batman’s dark, nearly gray on gray, costume contrasts nicely with the bright red, green, and yellow of Robin’s; the diminutive sidekick wears a big smile on his face along with his original duds including the short-sleeved shirt and vest, gloves, cape, mask, scalloped trunks, and spritely shoes. Both figures are captured with a fantastic attention to detail that highlights clothing elements, facial expressions, and more. 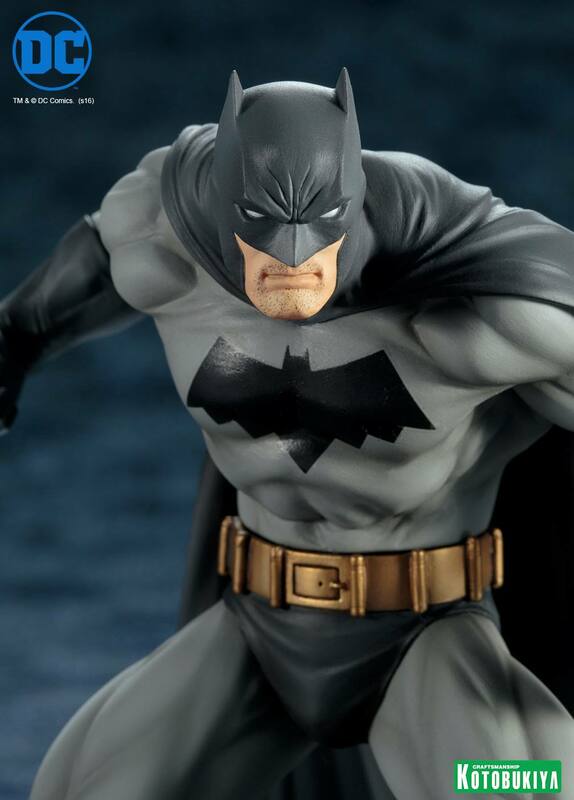 With Frank Miller’s The Dark Knight Returns celebrating its 30th anniversary this year, DC Comics has pulled out all the stops. 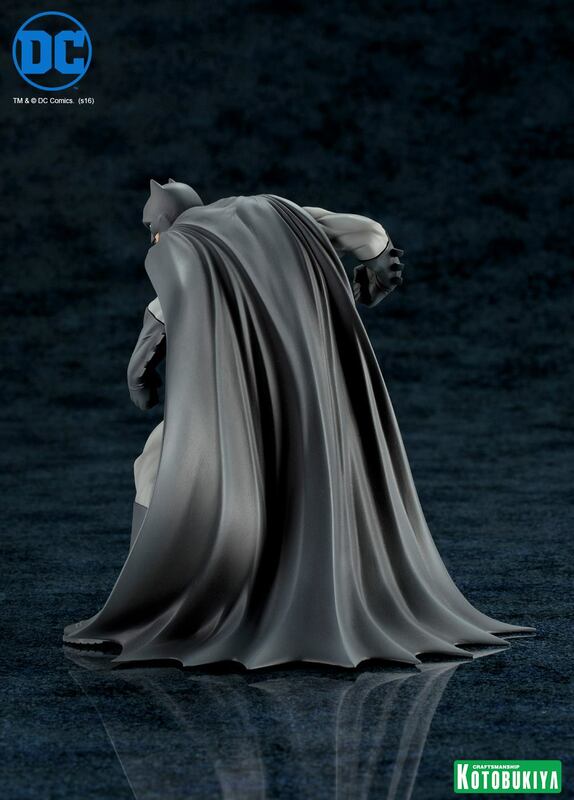 not only is the publisher currently releasing a continuation of the story with The Dark Knight III: The Master Race, it’s also seen a number of high-end collectible companies license out the rights to produce numerous pieces based on the original series by Miller, Klaus Janson and Lynn Varley. 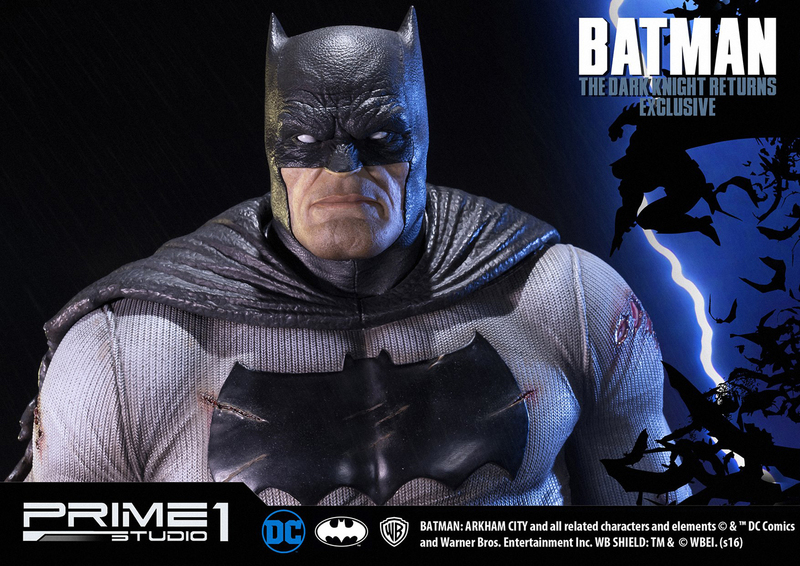 Prime 1 Studio is the latest to unveil its Miller-inspired offering, a 33-inch statue of a battle-worn and bullet-riddled Batman. 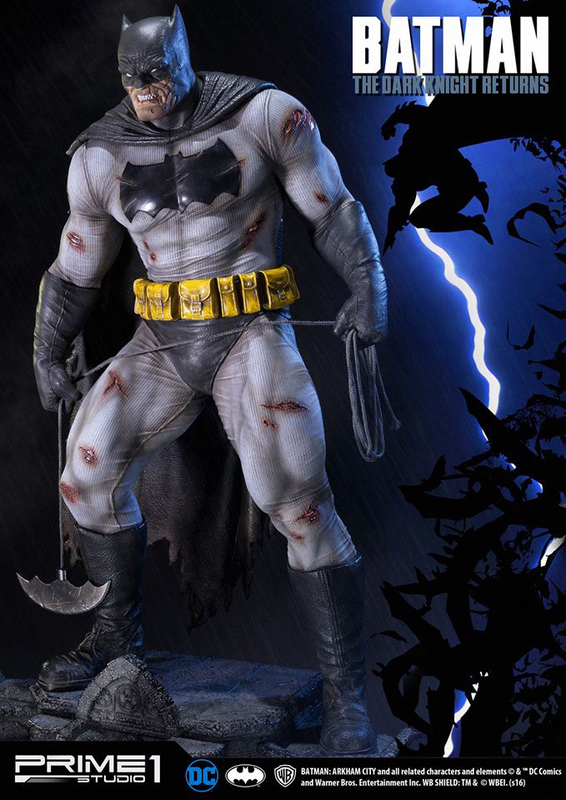 The beat-up and beat-down take on the character comes with a pair of heads, one grimacing, the other cut and bleeding. 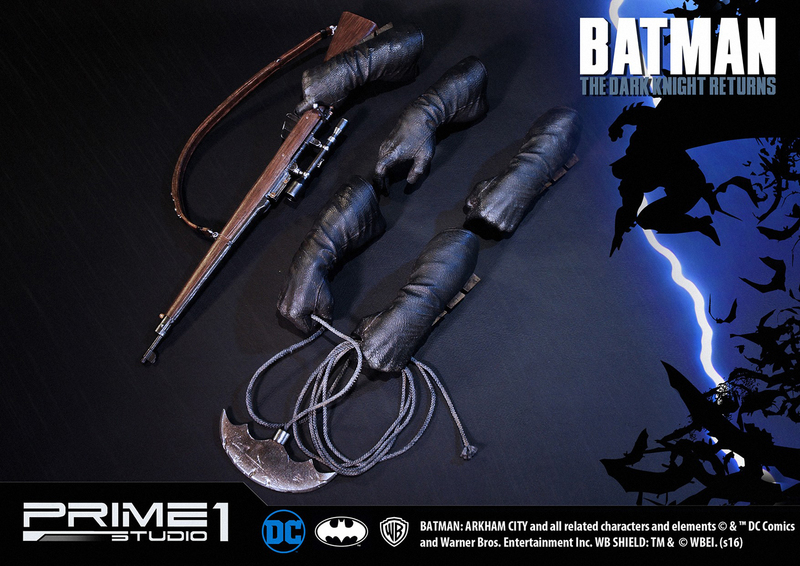 It also features different hands, including one holding a sniper and another pair ready to throw a roped Batarang. 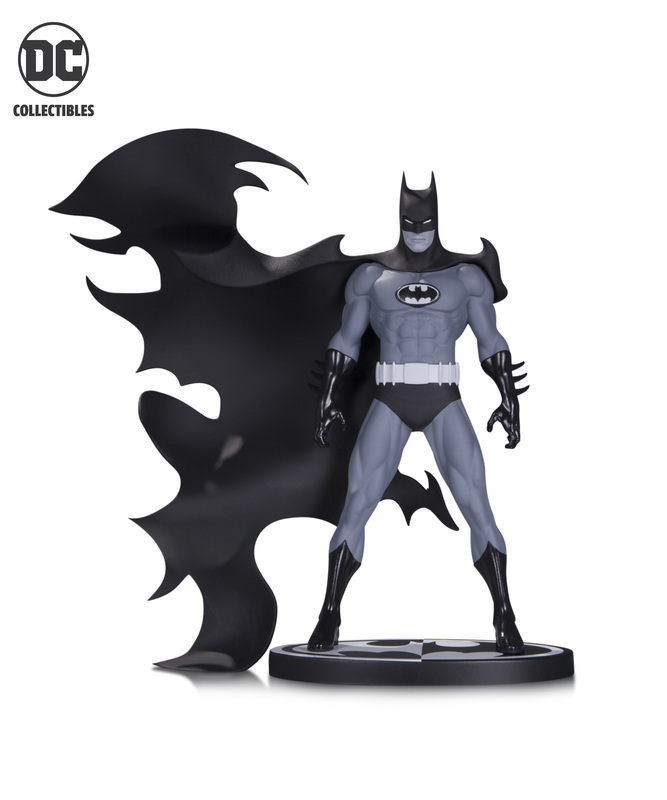 An “Exclusive” take on the statue will also include another head with a more calm face and an extra left hand holding a trio of Batarangs. 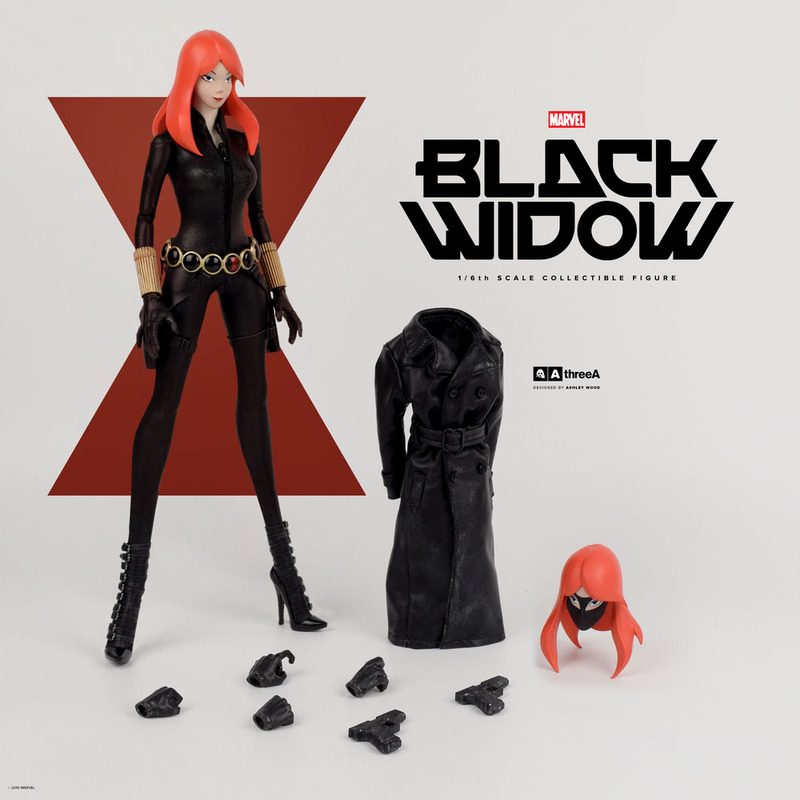 1500 versions of the regular version will be available while the Exclusive will be limited to just 800. 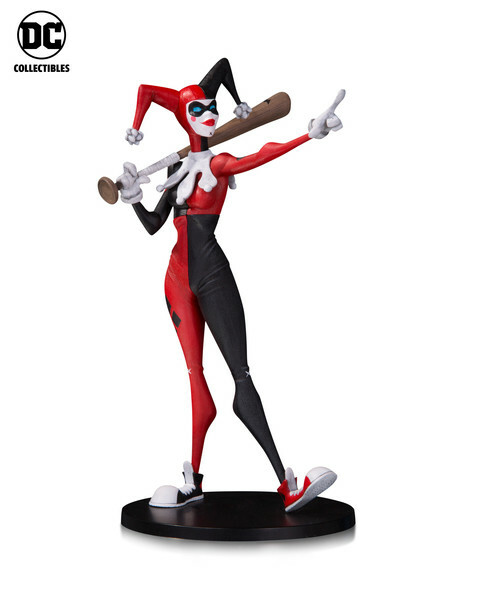 The regular statue will cost about $969 USD. From the pages of Batman: The Dark Knight Returns, it’s The Joker as envisioned by legendary comics writer/artist Frank Miller! 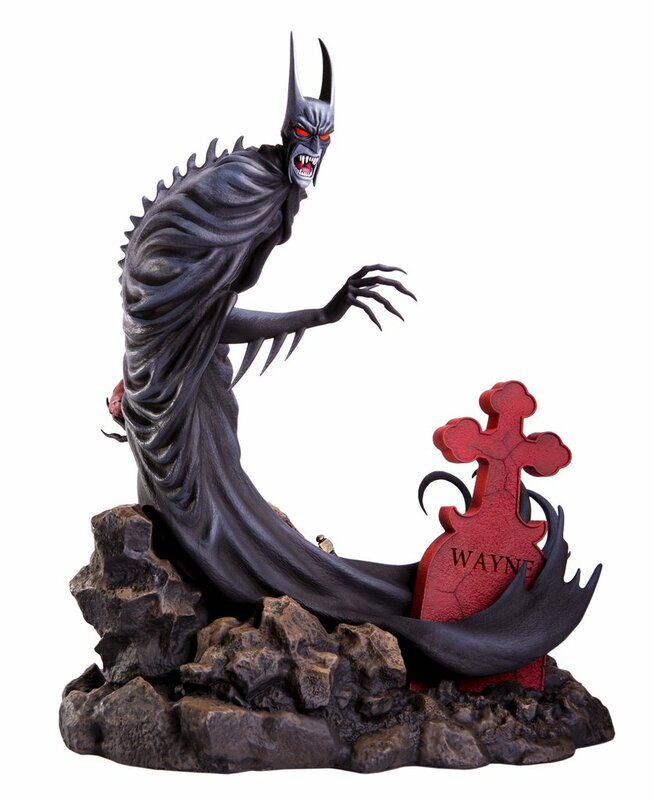 Designed by Frank Miller and sculpted by Alterton this statue is limited to an edition of 5,200. 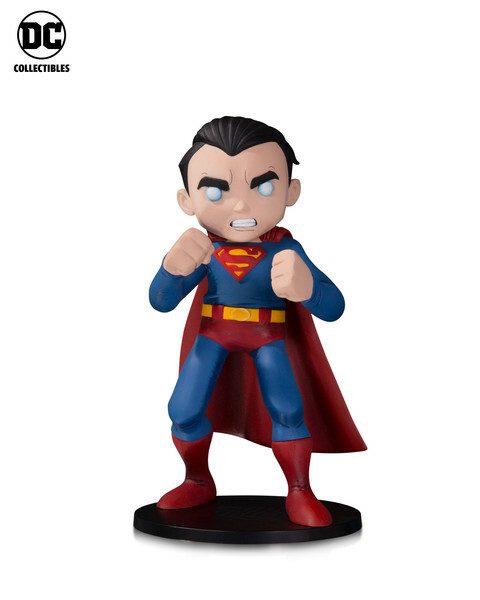 It measures approximately 7.25” tall and will retail for $80. 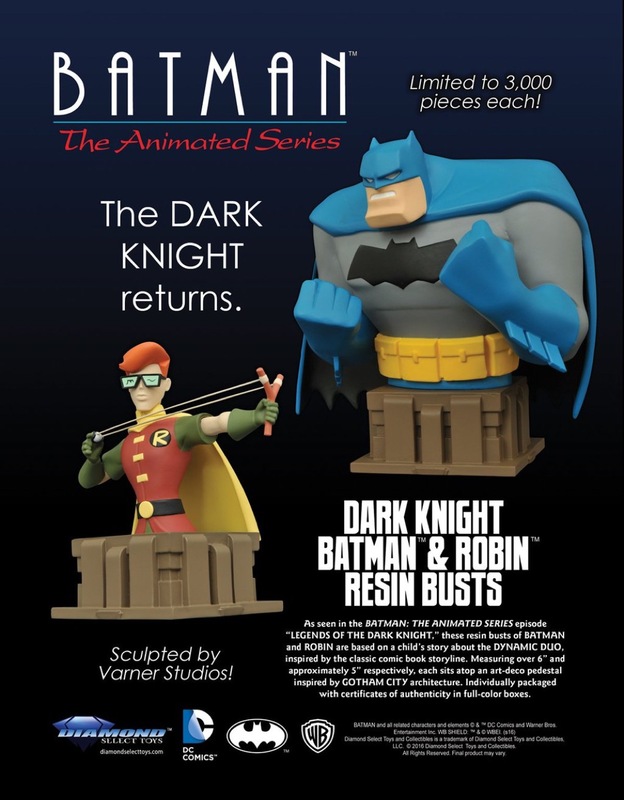 Diamond Select Toys will release these Dark Knight and Carrie Kelly resin busts in August 2016 based on Batman The Animated Series. 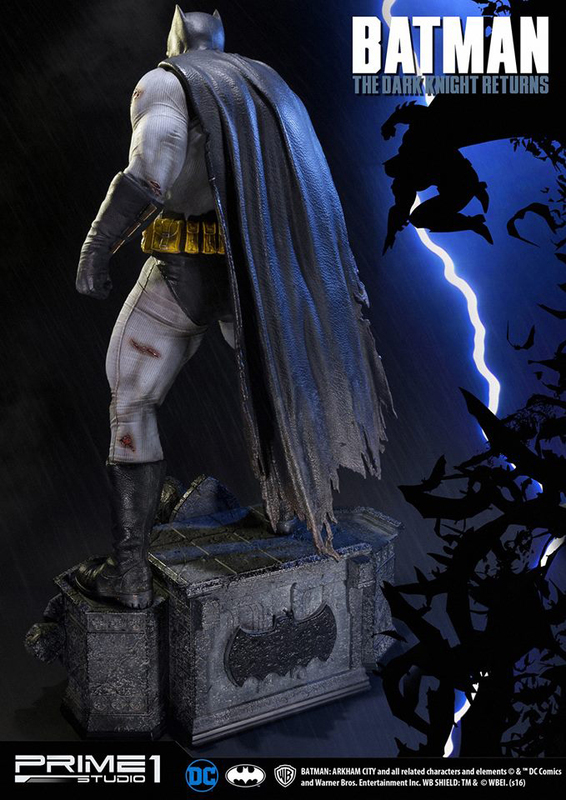 In Gotham City, Batman is a legend, and that legend grows larger with the telling. 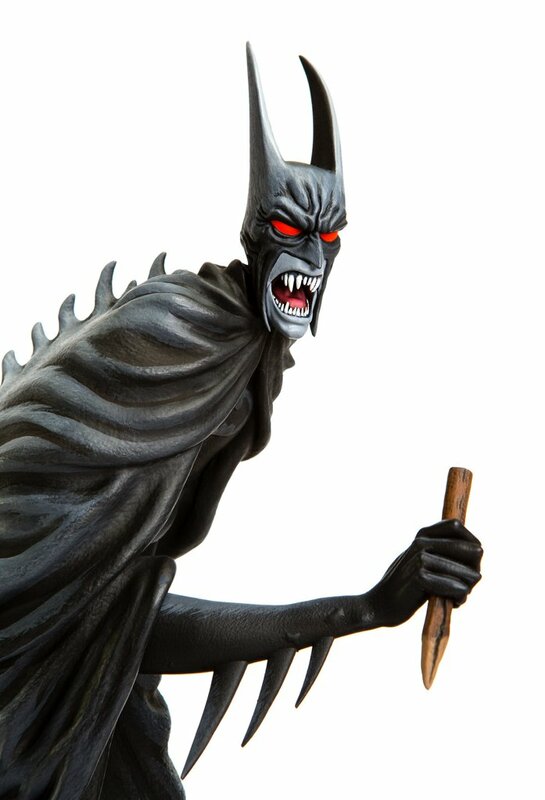 This resin bust of Batman is based on children’s stories of a brutal Batman who crushes opponents with his sheer strength, as seen in the Batman: The Animated Series episode “Legends of the Dark Knight.” Measuring over 6 inches tall, it is in scale to other Batman: TAS busts, and sits atop an art-deco pedestal inspired by Gotham City architecture. 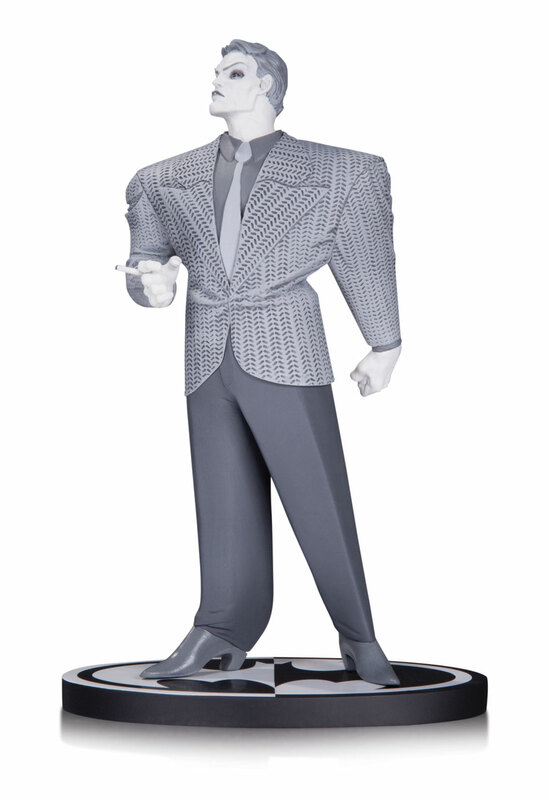 It is limited to only 3,000 pieces, and comes packaged with a certificate of authenticity in a full-color box. This item is priced at $49.99. 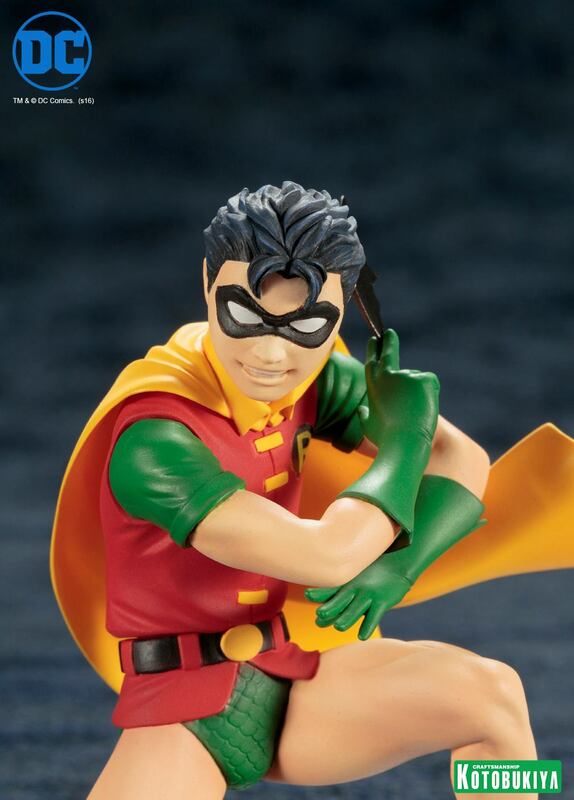 There are many stories about Batman, and in nearly every story there is a Robin. 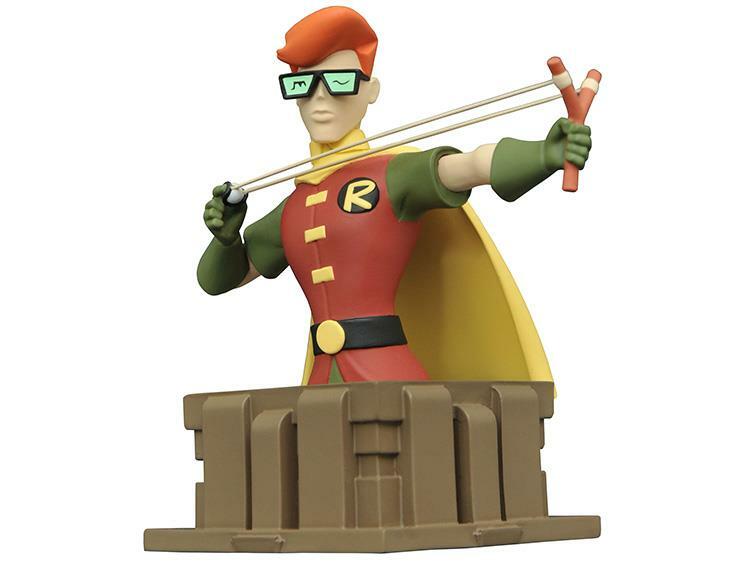 This resin bust of Carrie Kelly as Robin is based on children’s stories of a dystopic future Gotham, as seen in the Batman: The Animated Series episode “Legends of the Dark Knight.” Measuring approximately 5 inches tall, it is in scale to other Batman: TAS busts, and sits atop an art-deco pedestal inspired by Gotham City architecture. 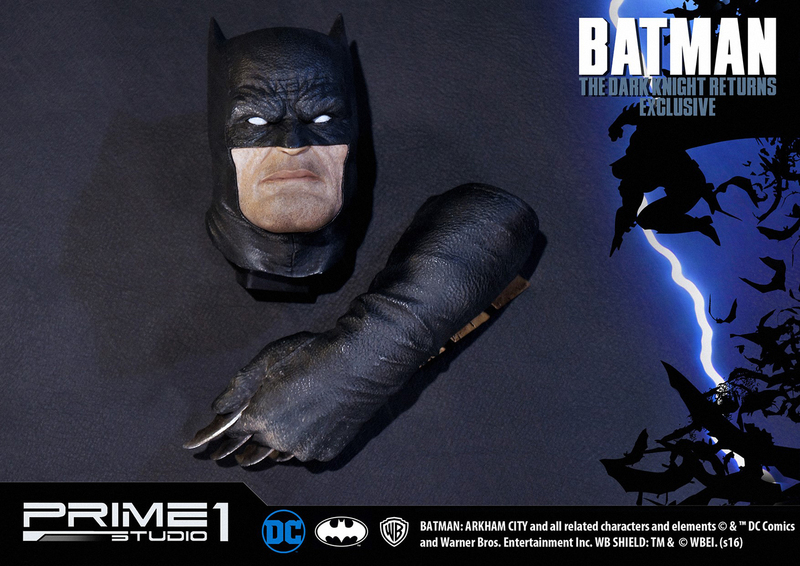 It is limited to only 3,000 pieces, and comes a packaged with a certificate of authenticity in a full-color box. This item is priced at $49.99. 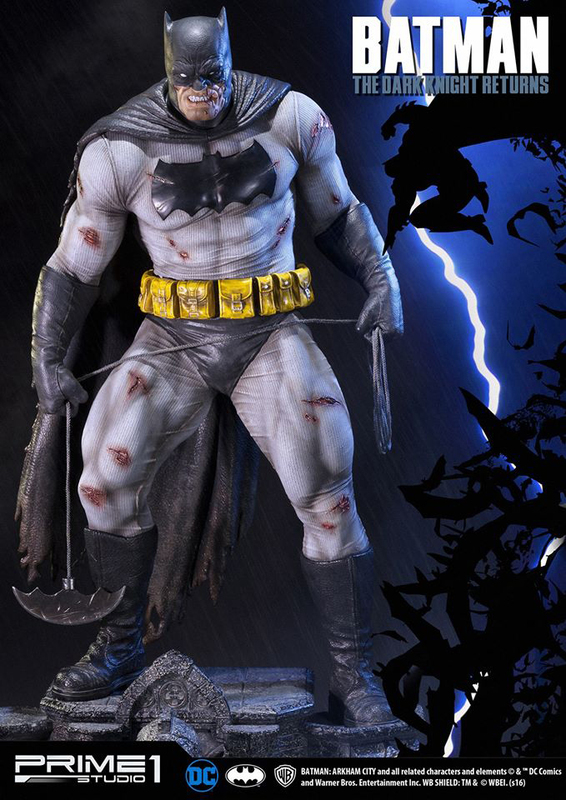 DC Collectibles continues their popular line of Batman Black and White Statues with new versions of Batman and Robin. 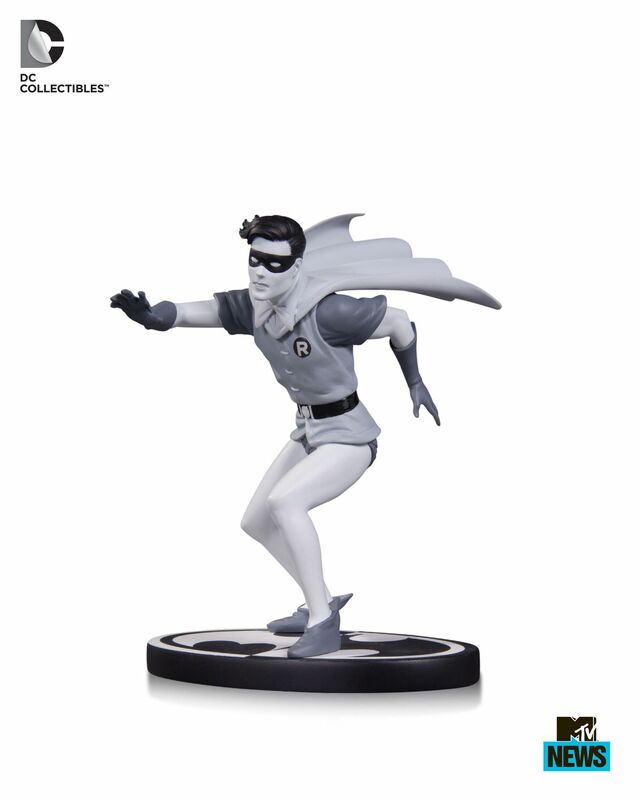 The new statues are based on Carmine Infantino‘s art. 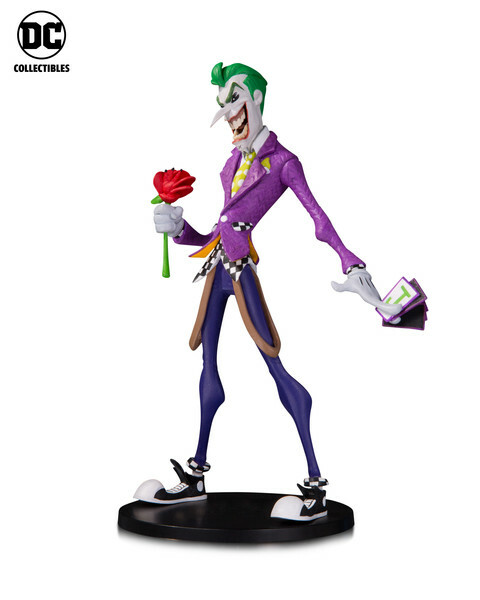 MTV revealed the new collectibles. 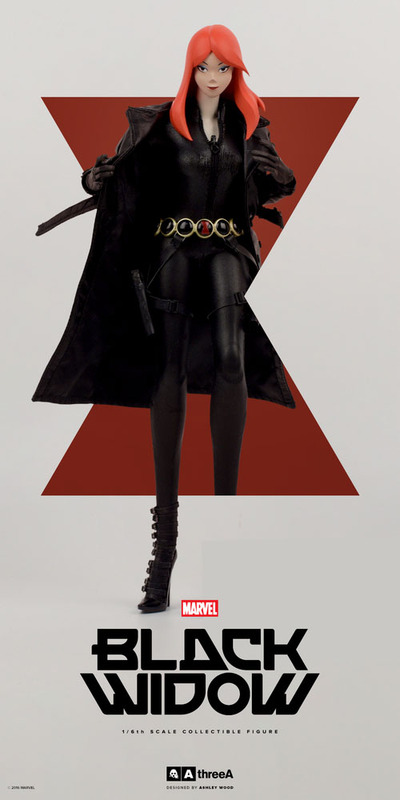 They are sculpted by Tim Bruckner. 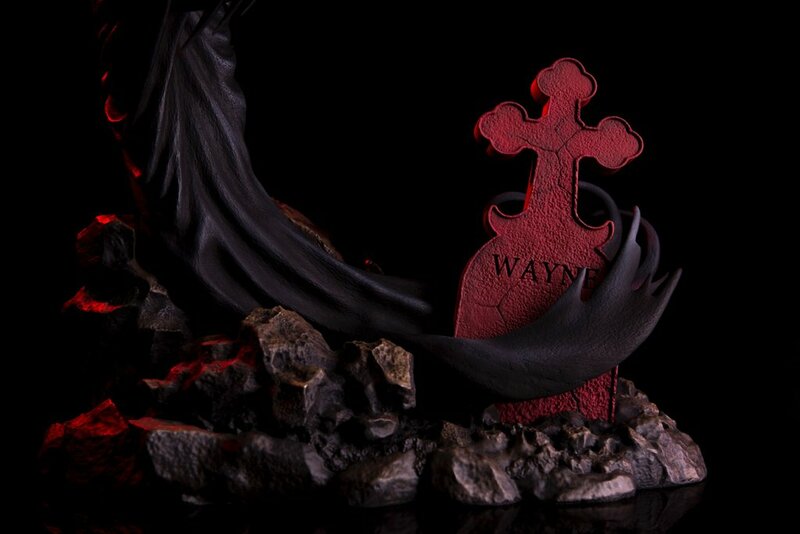 They will be priced at $80 each, will be limited to 5,200 pieces each 1and will be cast in resin. They’re not due for release until June 2016.